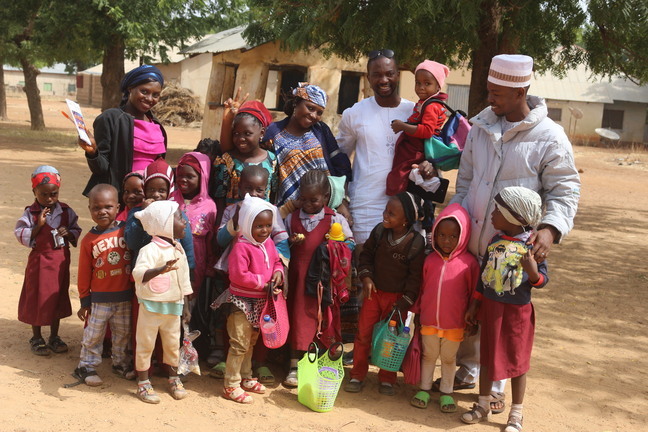 The Hausa Christians Foundation (HACFO) through the generous support of her friends and partners made a special trip to the Maraban Kajuru IDPs Camp on 14th April, 2019 to fellowship with the IDPs and give relief items to them to alleviate the sufferings. The Maraban Kajuru IDPs camp is the largest among all the over 10 camps of Internally Displaced Persons from the attacks of the Adara People of Kaduna State. The camp provides safety, shelter, feeding and clothing for over 4305 persons from 5 communities whose houses and valuables were burnt into ashes. Many of these IDPs in this camp are mostly women and children. 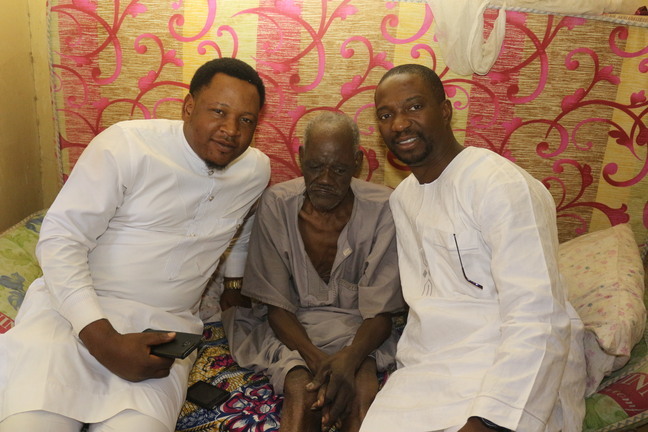 These people are not only suffering the pain of losing their houses and valuables but also their loved ones who were murdered in cold blood by the Fulani Herdsmen. 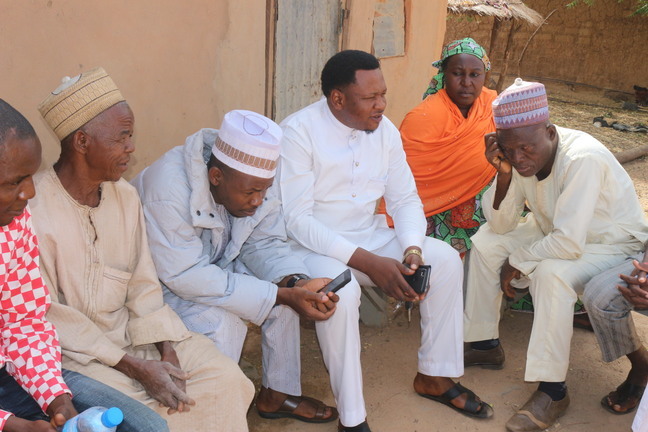 According to the Chairman of the IDPs camp, thus far, a total of 187 persons from these five communities camping in this place have been killed, there are many others who are missing that are yet to be confirmed of their whereabouts. HACFO as a way of fellowship went to identify with the sufferings of these people. After sharing God’s word and praying with them, we presented to them the resources we mobilized from our friends and partners from within and outside Nigeria. To the Glory of God, we gave them items like Rice, Cloths, Shoes, Vegetables Oil, Bed sheets and Bags. Our Partners were so generous and they gave cheerfully. We must also add that all the clothes were of good quality, in fact so many of them are new ones. THANK YOU OUR PARTNERS! 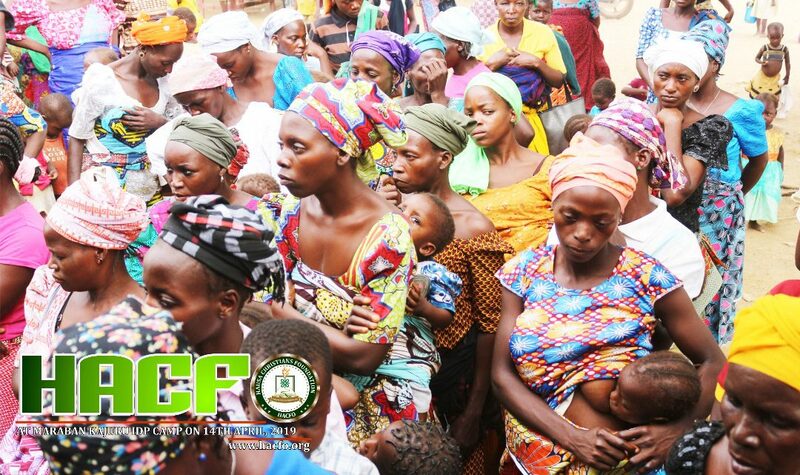 1) The number of the internally displaced persons and the availability of food items in this camp are making it difficult for all the people to be adequately fed. At this time, many people are only enduring; sincerely it is not an easy work to feed 4305 people at a time. 2) The camp is not adequate for these people, and due to an outbreak of some diseases, the officials of the camp pleaded with the Christian brethren of Maraban Kajuru to secure them a place to sleep in the night while they return back to the camp during the day time. They reported to us how many women give birth to still babies and how those ones that were given birth die after delivery within few days due to an unfavorable condition. 3) The people are traumatized and are need of a serious rehabilitation programs spiritually, psychologically, emotionally, and physically. 4) The camp is not a secured place for these IDPs, they find it very difficult to find a secured place to stay from rain or scorching sun, especially the pregnant and nursing mothers. 5) The condition of these displaced people has compelled most of the men to go back home to rebuild their ruined homes and take their family back home, but the challenge has been how to start all over again. And so they are requesting us and many more to come to their aid with building materials like cement, and roofing materials. They urgently need these items as the raining season is fast approaching. 6) More so, these displaced people are mostly farmers, as for their survival they have to go back to farm but all their valuables have been burnt down which makes it extremely difficult to afford all the farm inputs. On this note, they are pleading with all and sundry to provide them with seeds, fertilizer and herbicides. We sincerely want to give God the Glory for making this exercise a huge success. We wish to say a big thank you to all our precious Kingdom Partners who made this fellowship a great success. God bless you all. While thanking you for your usual support, we once again wish to plead with you to please come to the aid of these people with Building materials and farm inputs. The raining season is by the corner and life will be very much unbearable if the rain comes and meets them in this condition. Whatever the Lord lays in your heart to give should be sent before 31st of May, 2019. As you give, may God in His infinite favour and mercies prosper you the more. Amen! *FOR DOING THIS TO THE LEAST OF THESE, WE ARE DOING IT TO JESUS.